Dr. Cooke attended the University of Michigan, where he was a varsity Track and Field athlete. He then graduated with honors from the Wayne State University School of Medicine. Residency training was completed in Orthopaedic Surgery at the prestigious Detroit Medical Center in Detroit, MI. While in residency, Dr. Cooke was honored by being named Chief Resident and winning a variety of resident research awards. 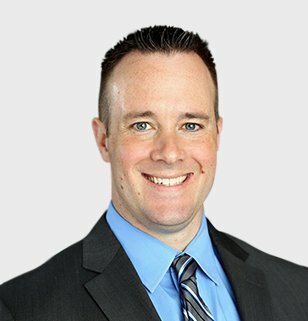 Dr. Cooke completed an Orthopaedic Sports Medicine fellowship at the world-renowned Kerlan-Jobe Orthopaedic Clinic in Los Angeles, where he had the opportunity to assist in the care of several professional sports teams including the Los Angeles Lakers, Los Angeles Dodgers, Los Angeles Kings, Los Angeles Rams, Los Angeles Sparks, Anaheim Ducks, and Los Angeles Galaxy. Additionally, he was the team physician for Loyola Marymount University Athletics. Dr. Cooke is the team physician for Bloomfield Hills High School athletics and currently participates in the care of many high school, college, and professional athletes. He is also a professor at the Wayne State University School of Medicine. He has written numerous Orthopaedic articles and book chapters on various sports medicine conditions and his award-winning research has been presented throughout the country and internationally. With a tremendous breadth of sports medicine experience at the highest-levels and continued research that is progressing the field, Dr. Cooke brings premier sports medicine orthopaedic care back home to Michigan.